The NHS Newborn Hearing Screening Programme (NHSP) has helped to find thousands of babies with hearing loss since it started. We’ve just published a summary of the first 7 full years of data in the International Journal of Audiology so this is a good opportunity to take stock of how we’re doing. What did the NHS Newborn Hearing Screening Programme set out to achieve? 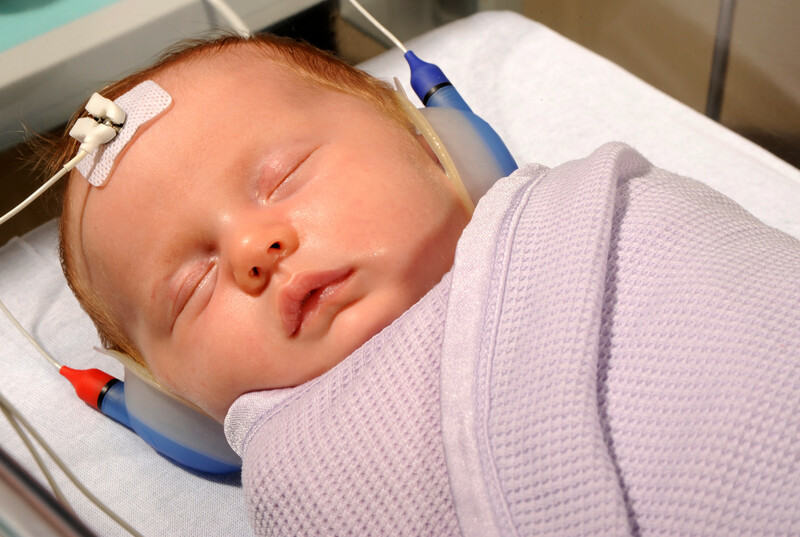 NHSP aims to identify permanent moderate, severe and profound deafness and hearing impairment in newborn babies. The programme offers all parents in England the opportunity to have their baby's hearing tested shortly after birth. Early identification gives babies a better 'life chance' of developing speech and language skills and of making the most of social and emotional interaction from an early age. The objectives of the NHSP are to identify all children born with moderate to profound permanent bilateral deafness within five weeks of birth and to ensure the provision of safe, high quality age-appropriate assessments from audiology services and ongoing support for deaf children and their families. Having been involved in NHSP since it started, it’s great to be able to use the data collected by the programme to show to an international audience how successful it’s been. The programme is actually exceeding its target for identifying babies with hearing loss by 6 months of age. This is thanks to a well organised national programme and huge dedication from local screening and audiology services.